M&S – shame on you. My blood is simmering a little bit this morning but I will leave you to judge if it is with righteous indignation. 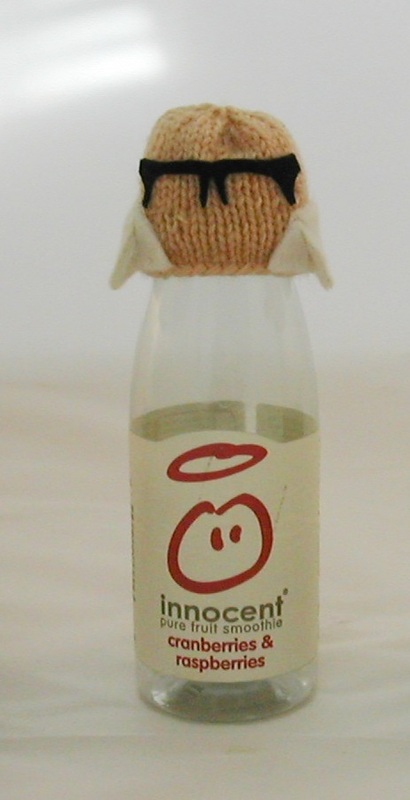 For the last 4 or so years Nicky and I have been involved with innocent’s Big Knit. 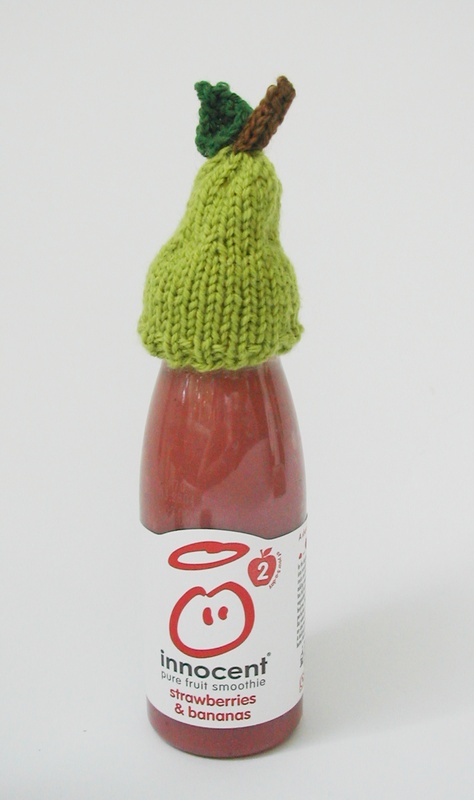 You might not know that all the hats that go on the smoothie bottles in November are knitted in the UK, either by older people in the Age UK centres or by members of the public. 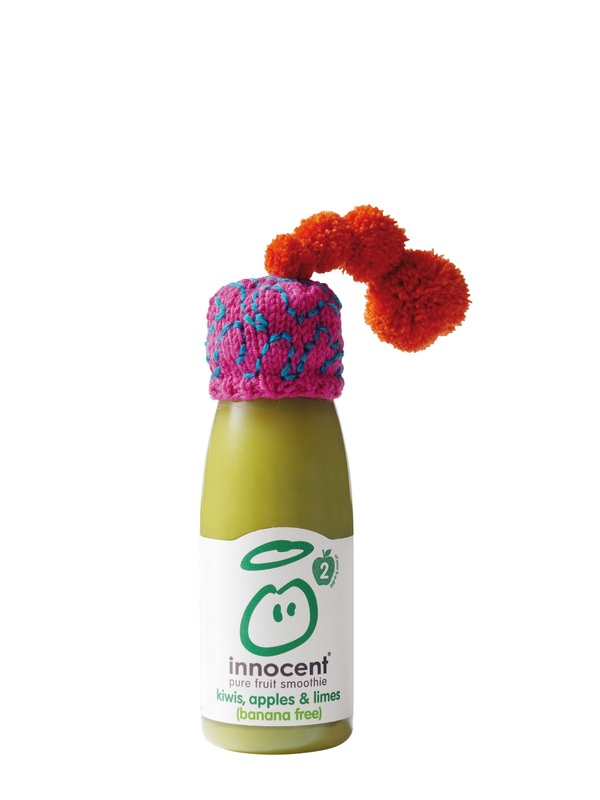 This year the target was 650,000 hats, so we created fun designs for knitters like these. This year we have also created a few celebrity lookalikes and a one or two fashion-related hats. It is such a fun project to work on, because the innocent folks are so wonderful, and we give a lot of our time for free to help Age UK. 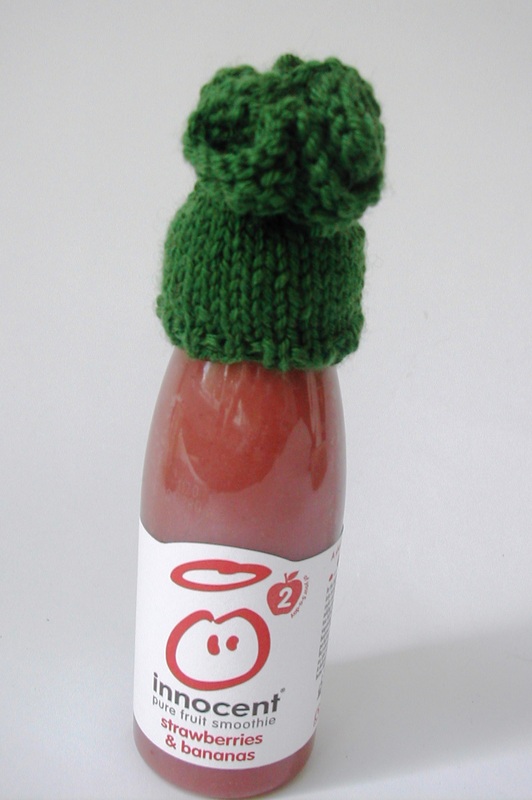 So I was very disappointed to see that M&S are selling smoothies with hats on to raise money for Shelter – which is a fantastic charity – that’s not my beef. First of all, is that not blatant copying? Secondly the M&S hats are machine made – no doubt in China. And finally they are only giving 5p per hat to the charity instead of the 25p that innocent do. I’m afraid this is an example of a large company really not understanding how to behave ethically. So I say again, M&S shame on you. i bought 6 to make up for the M&S evil-ness! 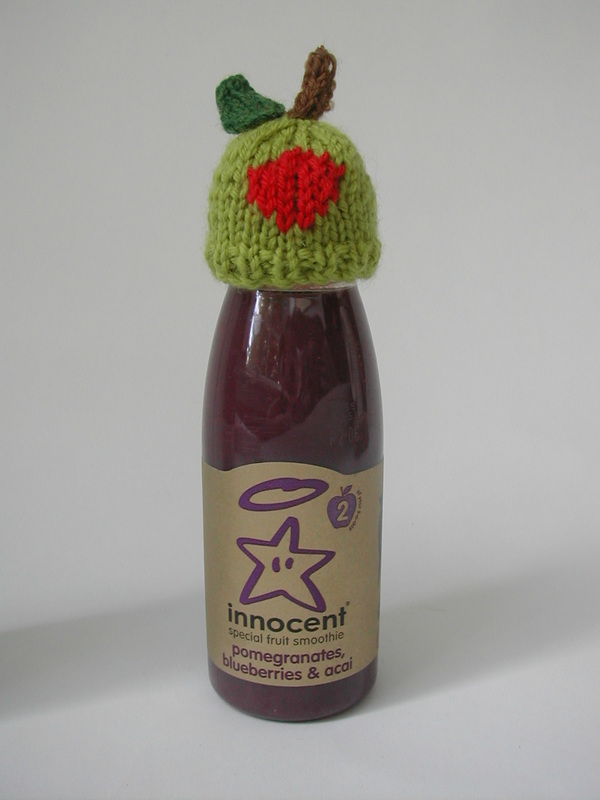 I have knitted little hats for 2 Innocent Smoothie campaigns and have been proud to do so. I don't think M&S are evil, after all imitation is the greatest form of flattery and if the Innocent Smoothie campaign has inspired them to do the same for Shelter ,then it's all for the greater good. I contacted Marks and Spencer and they have told me that their supplier “adheres to our high welfare standards and has passed recent audits”. I'm inclined to believe them as they have some of the highest ethical standards of retailers in the UK. Their 'Plan A' policy is testament to that. Besides, they will sell smoothies in vast quantities and Shelter will benefit. It can only be a good thing.